Matcha Green Tea is packed with Antioxidants and along with Red Raspberry Seed Oil makes an ideal combination for sensitive + acne-prone skin. No matter if you have oily or dry skin, this butter will gently balance and moisturize. Gently processed, using minimal heat, to preserve the delicate phytonutrients. Cannabis Sativa Seed Oil | Cold-Pressed | Organic Hemp Seed Oil | Rich in Omega Fatty Acids that help reduce redness, inflammation and breakouts, as well as support aging skin. Rich yet fast-absorbing so your skin feels nourished but never oily. Plays well with others, can be used as your last step no matter what your routine. Protects skin from elements like wind + cold + heat + dry climates. Organic Shea Butter is rich in Vitamin A and fatty acids that smooth and deeply nourish. Organic Hemp Seed Oil (Cannabis Sativa, Cold-Pressed, Zero Comedogenic Rating) : Rich in omega fatty acids that provide skin with building blocks for healthy cells. It also happens to be anti-inflammatory, helping with everything from Keratosis Pilaris to Eczema and dry skin. Considered a dry oil, it quickly absorbs into the deepest layers of skin. Rich in Linoleic Acid, it helps keep sebum from becoming thick and actually helps unclog pores. Provides your cells with just what they need to be healthy + minerals + chlorophyll. It helps to keep sebum from becoming thick and unclogs clogged pores. It has amazing benefits for discoloration + dryness + redness + acne + wrinkles. Helps even skin tone, blotchiness, redness, inflammation, and moisturizes. Rich in Antioxidants. Thins sebum to help keep pores clean. Red Raspberry Seed Oil: Cold-pressed from Meeker Raspberries in the Pacific Northwest. This oil is rich in Antioxidants and helps protect skin from free radical + sun damage. Amazing for all skin types, and especially suited for acne-prone and mature skin types. Said to have some natural SPF qualities. Sea Buckthorn Berry Oil: Comes from high in the Himalayan Mountains. It grows in one of the harshest environments in the world, and all the qualities it requires to survive, it offers as benefits to our skin. Rich in vitamins B1, B2, K, C, A, E + Folic Acid + at least 20 minerals + 60 antioxidants + Omega Fatty Acids 3 - 6 - 9 + the very rare 7. Sea Buckthorn helps to build proteins + brighten + even tone + reduces signs of aging + so much more! Apply to cleansed skin as desired. Butter may be slightly solid in cold weather and slightly soft in warm weather. Amazing applied over any of the Pure Hydration Face Waters. Use a clean tool or your fingers to scoop out and warm between palms. 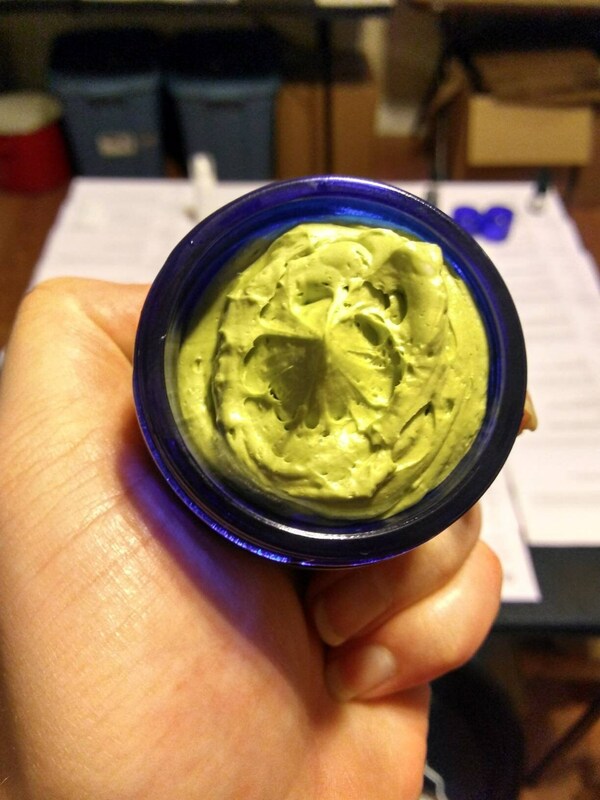 Use a 1/2 pea size amount pressed into face. Great right out of the shower on damp skin.